ELLSWORTH, Maine — With more than $400 million at stake in terms of fishing income, Maine has decided to try to do something about ocean acidification. This past spring, the Legislature took up the matter of ocean acidification, which many scientists say threatens the health of much of ocean life. Increasing acidity levels in the world’s oceans has been blamed for dead or dying coral reefs in warmer climates and, in Maine, on the spread of lobster shell disease into the state’s cooler ocean climate. State legislators passed a bill into law that creates a 16-member commission that will look into the issue and make recommendations for how it should be addressed. The new state law is the first on the East Coast that takes a direct approach in trying to address the problem, according to its supporters. Nelson is one of seven members of the commission who have been appointed by Maine Department of Marine Resources Commissioner Patrick Keliher. The economic implications of ocean acidification are significant in Maine, where commercial fishermen earned more than half a billion dollars in gross revenues in 2013. Species that depend on hard outer shells for survival are viewed as especially vulnerable to increasing ocean acidity. Lobster alone generated more than $364 million in direct revenue for Maine fishermen — nearly 70 percent of all the fishing income in the entire state. Softshell clams, the third-most commercially valuable species in Maine, generated nearly $17 million more in additional revenue last year. When revenues generated further down the distribution chain are included, more than $1 billion is spent in Maine each year on locally-caught seafood, officials have estimated. Last month, U.S. Rep. Chellie Pingree introduced a bill in Congress similar to the law adopted in Maine at the end of April. 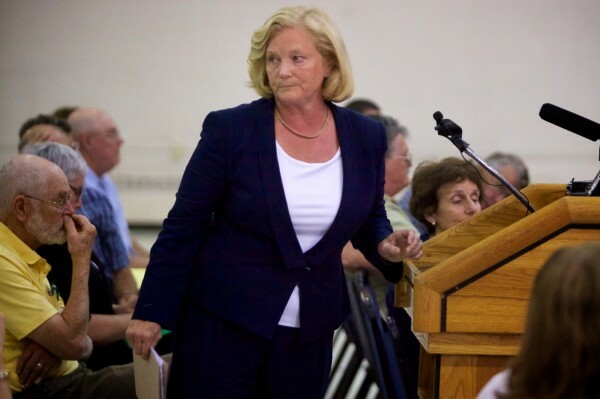 According to information posted on her website, Pingree’s bill would “require the National Oceanic and Atmospheric Administration to study the socioeconomic impacts of ocean acidification on coastal communities” nationwide. Pingree has scheduled a news conference on the matter for 1:30 p.m. Friday, June 27, on the Portland waterfront. The full membership of the state commission has not yet been made final, state officials said Thursday. The time and location of the commission’s first meeting also has yet to be scheduled.